Oz Orwell, of former Ghosts & Mansions fame, is going through a bit of a rough patch in Oz Orwell and the Exorcist. Actually, several years of constant rough patches. Or something along those lines. Anyway, his work – which consists mostly of documenting supposedly haunted locales – hasn’t really been attracting clients for a while. It’s actually reached the point where he may have to… get a real job. Oh boy. Not until one final attempt at restoring what once was is made, though; one final shot at returning to the spotlight, ignoring the fact that almost every place he’s visited in the past turned out to be, well, lacking in the supernatural department. But not this time, as he’s decided to turn to an industry veteran, as it were. Someone known only as the Exorcist. Oz’s plan? Simple: make a documentary revolving around the Exorcist’s home. See, for some reason or other, that darn place is not only an abandoned mental asylum but spirits supposedly reside there. Yup. Actual, down-to-Earth (or less so, I suppose?) spirits. The perfect opportunity to film something that doesn’t need to be, or worse, looks like, it’s simply staged by a con artist. But will it be enough? Can Oz pull through, or is this going to be that one time where he should have left well enough alone? 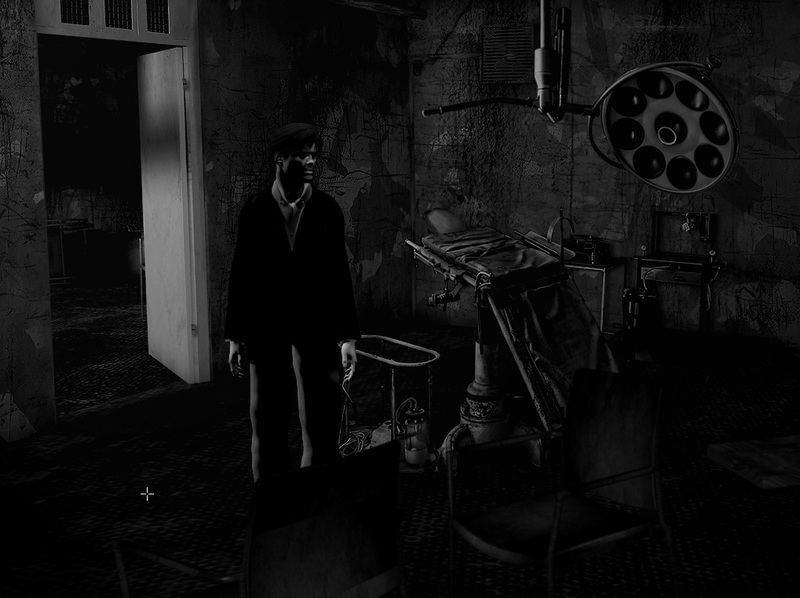 Time will tell, as you point ‘n click through dark corridors and barely lit hallways in Oz Orwell and the Exorcist. Oz Orwell and the Exorcist is available from itch.io, at €2.29 (~$2.50).